Peaceful Restaurant- I Like Flake. 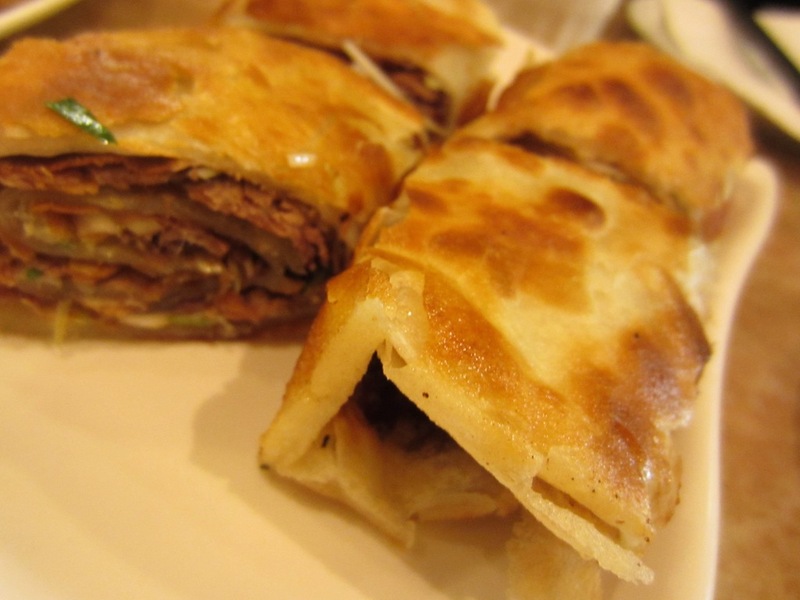 Flaky Beef Rolls That is. 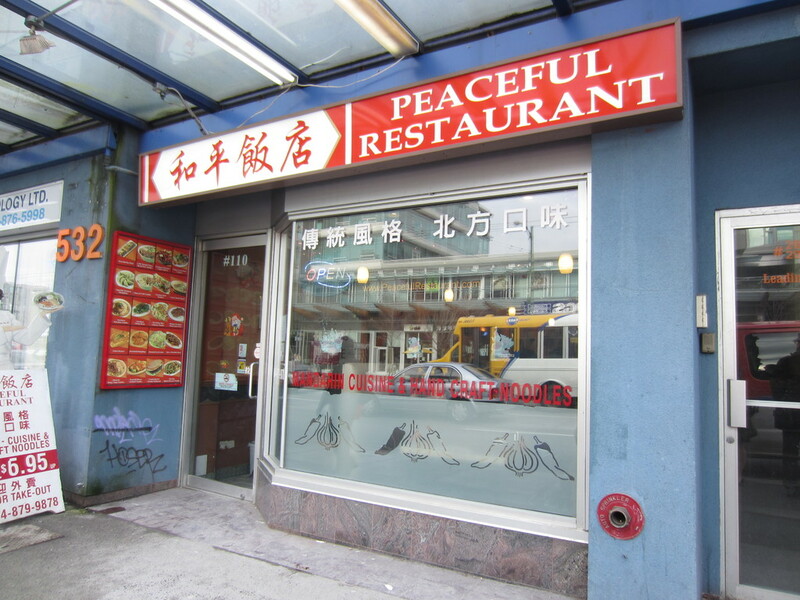 A few days ago I FINALLY had the opportunity to try out the ever-so-famous Peaceful Restaurant since I was in the area during lunch time. I have drooled over their Triple D segment (Food Network) long enough! It’s time for their food to enter my belleh. The outside looked a little sketchier than I imagined. However, all is good because I know never to judge the book by its cover. 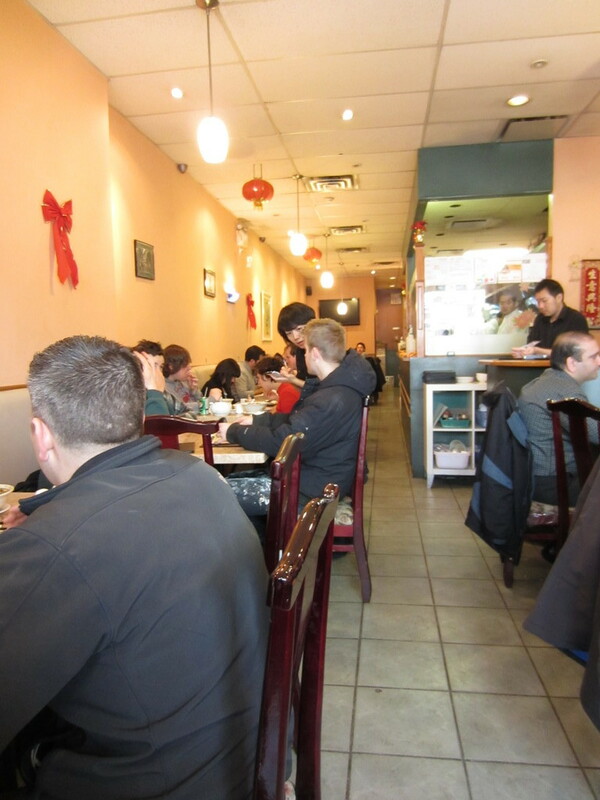 The restaurant interior was surprisingly narrow, especially in the back where Kirpa and I sat. There was seriously only enough space for one person to walk through, kind of like the aisles in an airplane. 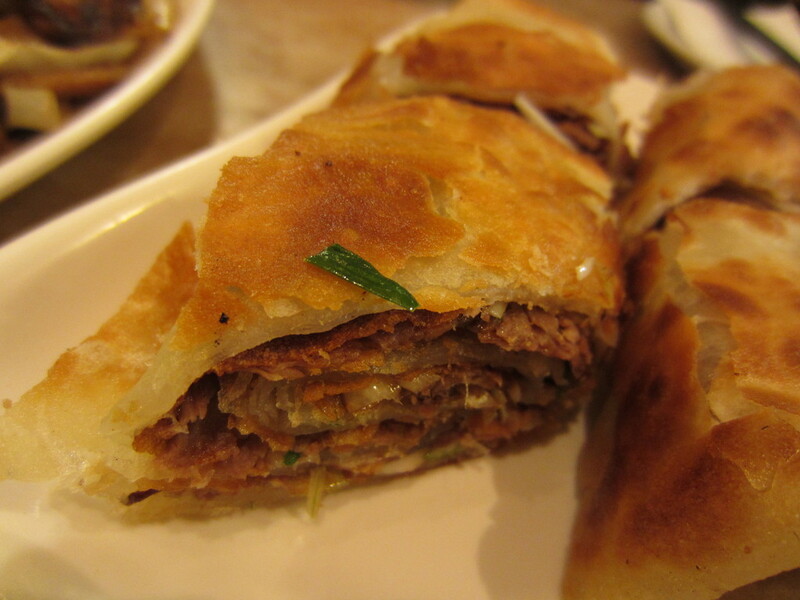 There was no way I was going to come and not try their famous flaky Peaceful Beef Rolls ($7.25). I normally don’t like flakes. But I do like myself some flaky (and crispy!) flat bread. The five spiced beef was thin, tender, and held so much flavour on its own that it would’ve been fine even without the sweet hoisin sauce. Thats not to say the hoisin sauce could have been absent because I think it was the ingredient that bound everything together into one perfect unison. This is absolutely a MUST HAVE at Peaceful Restaurant. 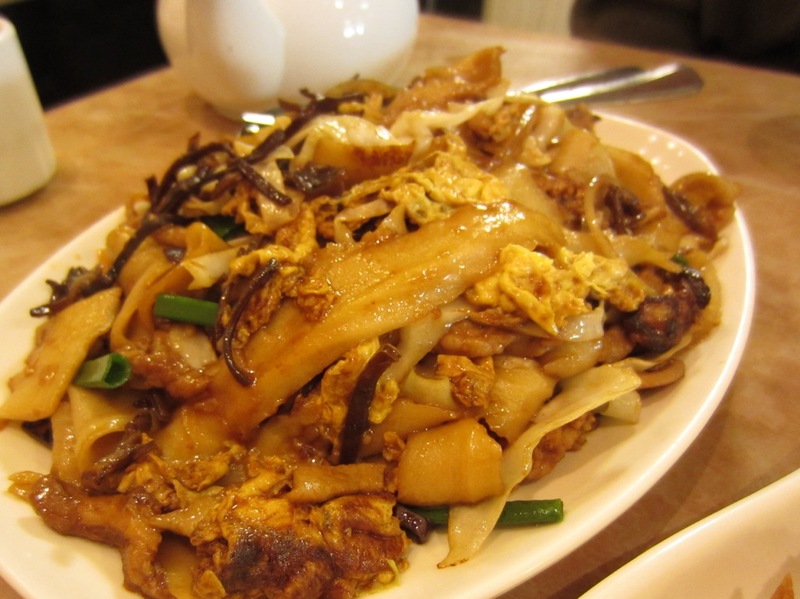 I love knife cut noodles so I ordered the Mu-Shu Stir-Fried Noodles ($11.95). It did not disappoint. 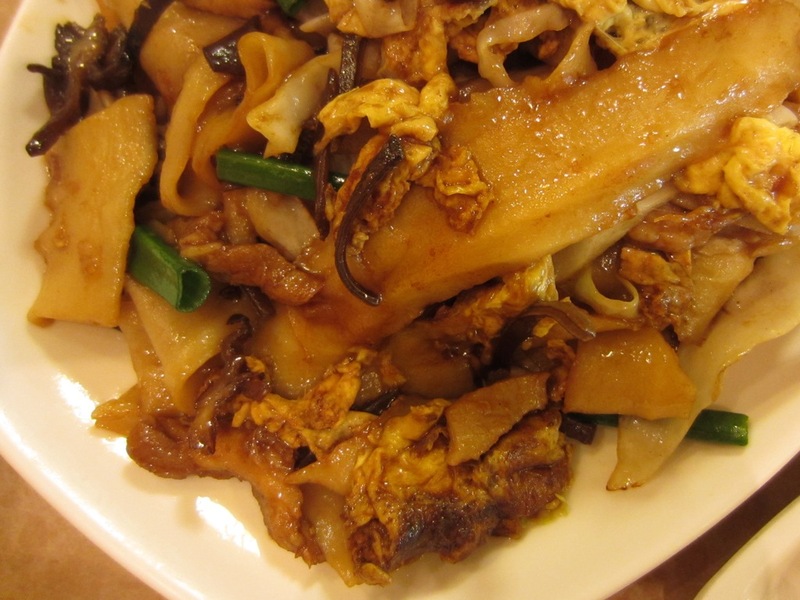 The knife cut noodles were stir fried with pork, cabbage, wood ear mushroom, and egg. 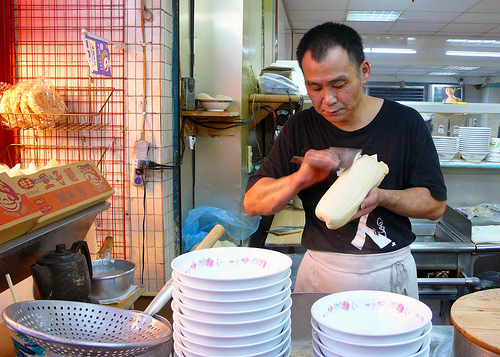 You can also choose dragging noodles instead of knife cut noodles if you prefer a more consistent shape and texture. My only criticism for this dish is that it was a bit too oily. Personally, I wasn’t too affected by it, but Kirpa had to stop eating half way through because he couldn’t stomach the excessive amount of oil. The Sweet Spot vs Diplomat Bakery – War of the Sweets!